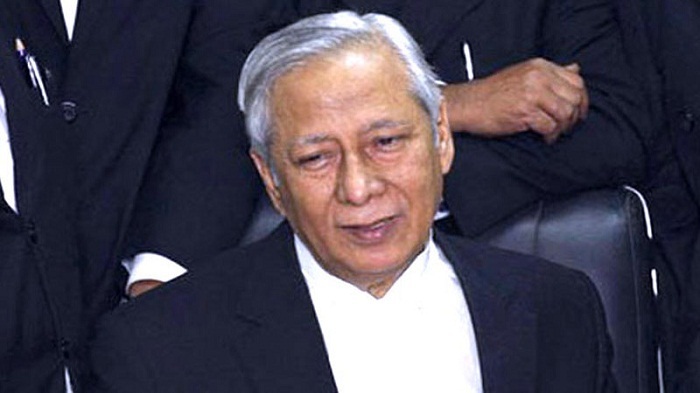 Attorney General Mahbubey Alam has formed an 11-member legal team to challenge the annulment of the 16th Amendment to the constitution, officials said Friday. Officials who are familiar with the process said the team was formed last week as the government preparedness was visibly underway to get the annulment reviewed by the Supreme Court's Appellate Division itself. The group comprised two additional attorneys generals and eight deputy attorneys general. The officials said the team was now working on relevant law points to prepare the draft petition for seeking the review. "The team has been formed for legal preparedness to challenge the verdict," Mahbubey Alam told. The apex court nullified the 16th amendment scrapping parliamentary authority to impeach Supreme Court judges and released the full text of the verdict on August 1 this year.